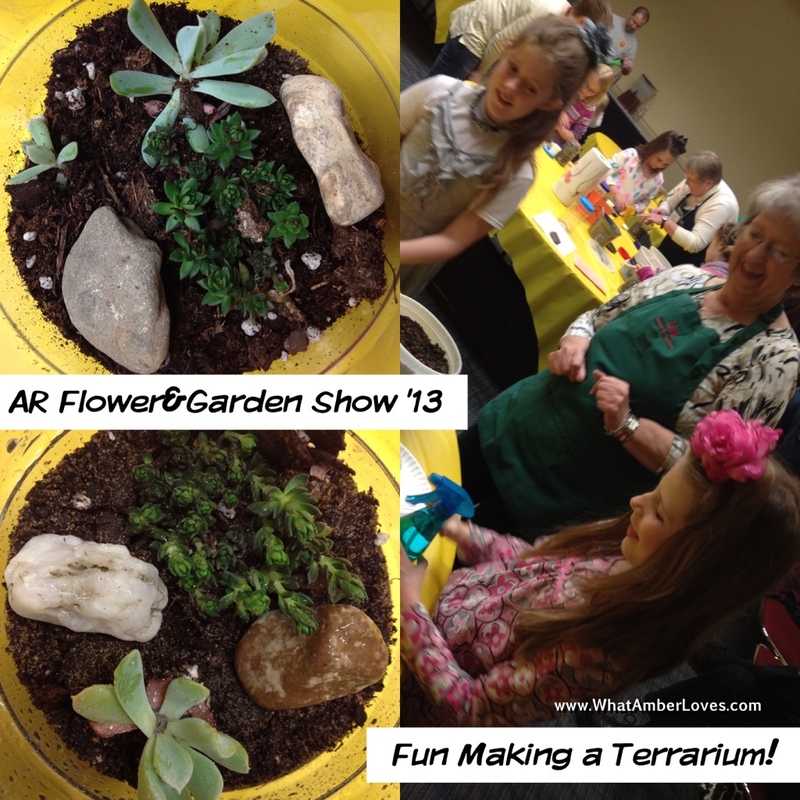 We LOVED the 2013 Arkansas Flower and Garden Show! I attended the show Friday, Saturday, and Sunday!! 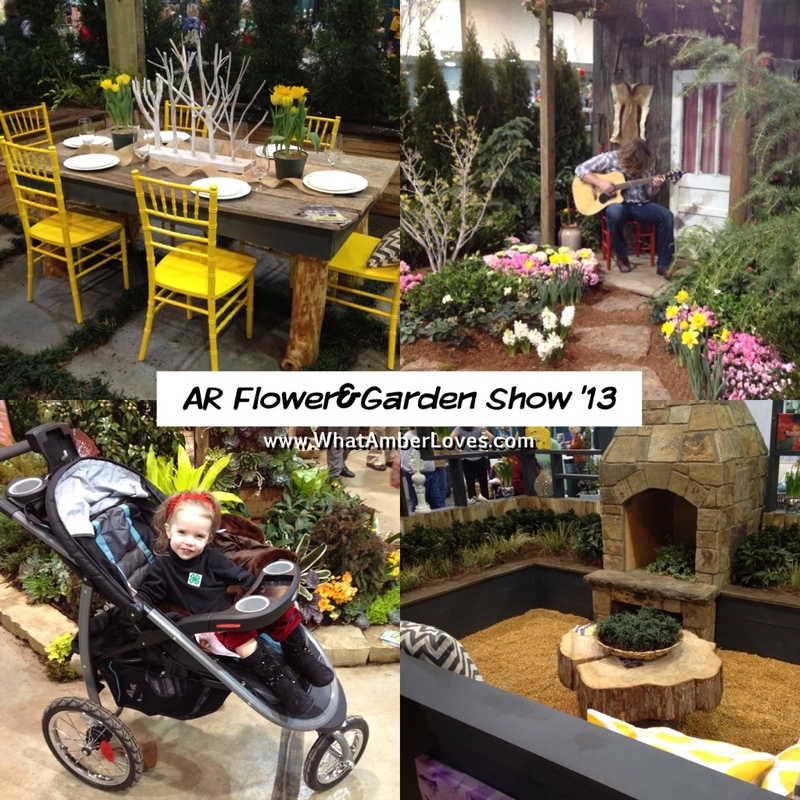 Here’s a peek at what our family experienced at the Arkansas Flower and Garden Show. I’m including lots of links, so just click on any particular points of interest, in case you missed the show! We followed the rules and emailed our entry for the Pin It To Win It Contest and won 6 courtesy passes, which allowed my husband and I to attend all three days! Via a link provided by P. Allen Smith’s facebook page, I signed up to receive updates from the Arkansas Soybean Promotion Board, TheMiracleBean.com mailed us an additional four courtesy passes which I was able to share with a friend, a pack of UA Kirksey Edamame seeds to grow in our backyard, and recipe cards! How awesome is that?! 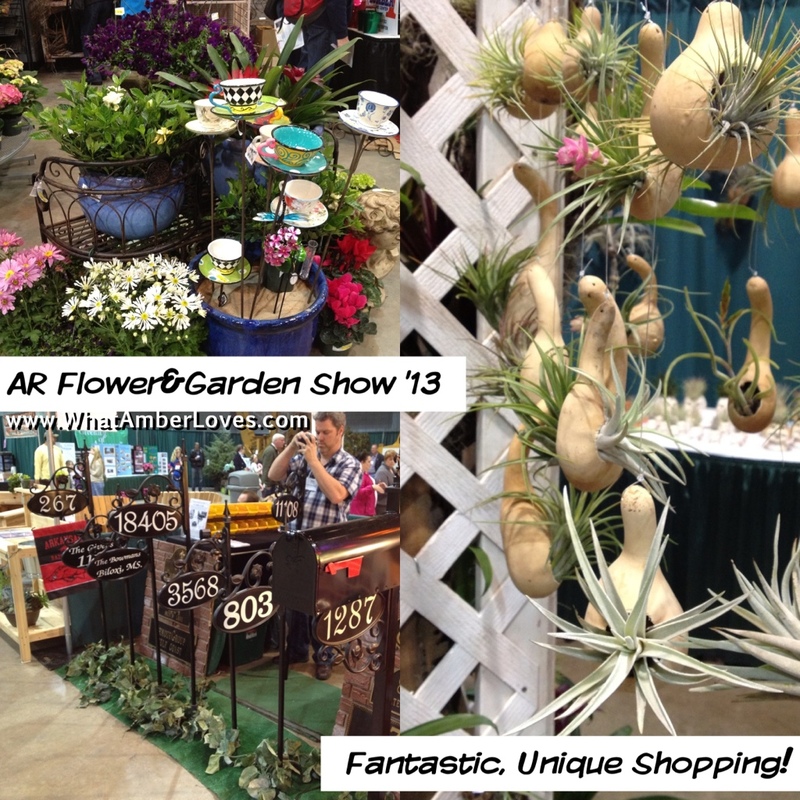 The AR Flower and Garden Show was spectacular! There was so much to see and do! It was held in the Statehouse Convention Center, downtown Little Rock. These next photos only cover a portion of things seen and experienced at the show! For example, a person could easily dedicate an in-depth blog post to just the floral arranging contests, or just shopping neat items from vendors, or just the “how-to”s and demonstrations, and etc! 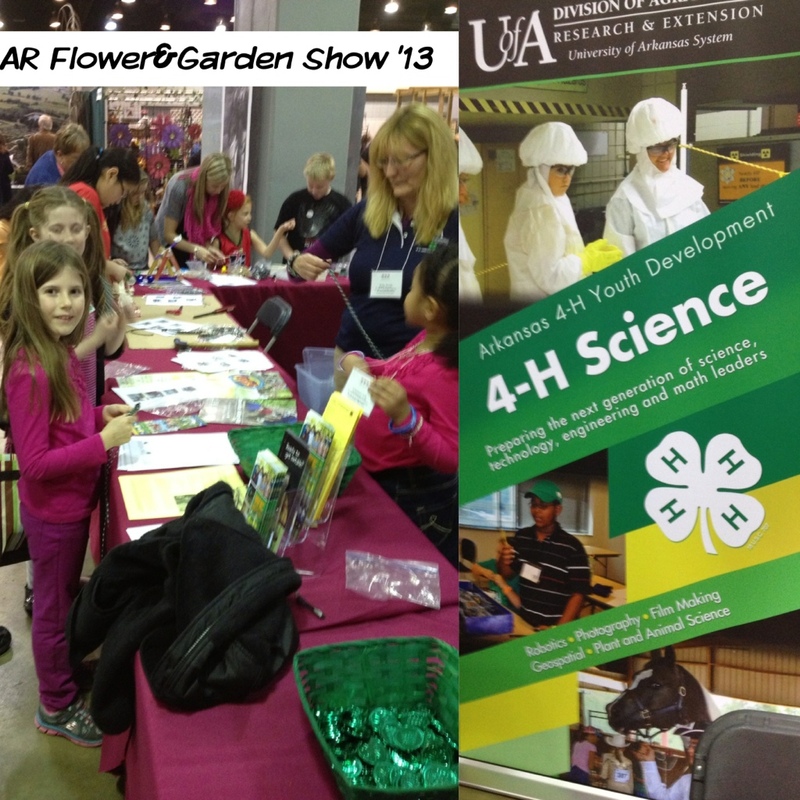 The Arkansas Flower and Garden Show was such a wonderful and comprehensive show! 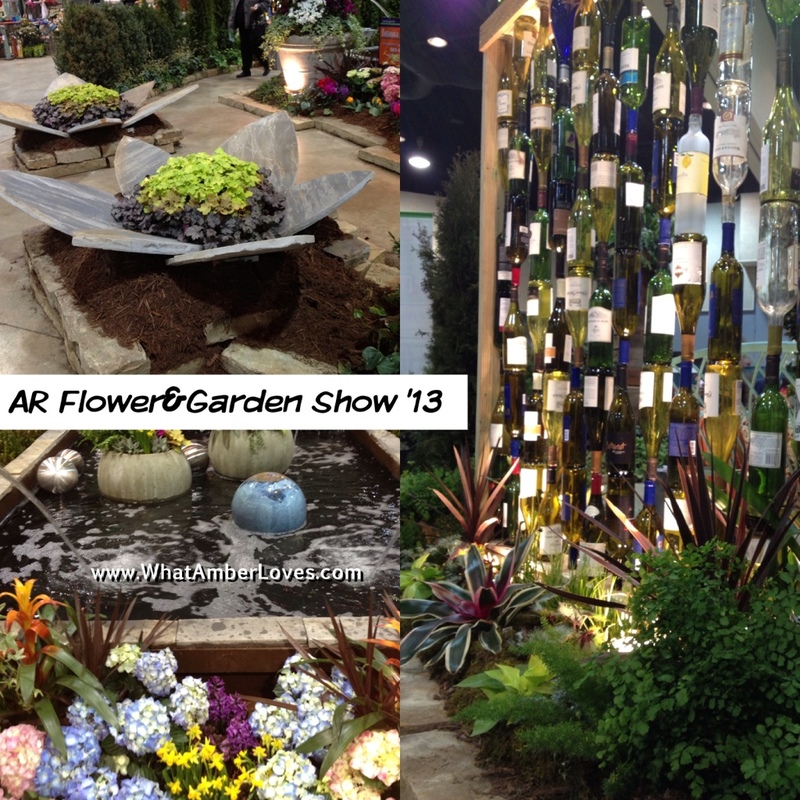 The first day, I attended with my youngest in the stroller, and we were both absolutely mesmerized by the Garden Design installations. The spaces created each truly transported visitors! Beyond glorious plant material, the designers used all varieties of materials in unique and innovative ways. In one space you’re enveloped on a Southern front porch circa 1913, in another space you’re beside a wonderful fountain amid shimmering, upcycled wine bottles screening, and yet other spaces you experience contemporary indoor-outdoor dining and lounging at its best! We also enjoyed looking around and shopping for garden decor! 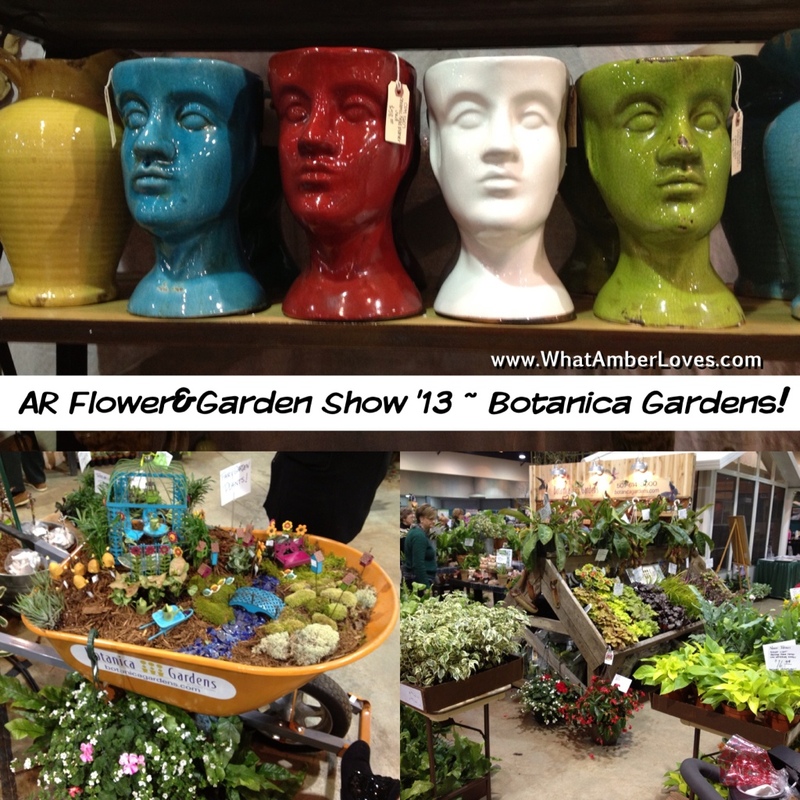 Here were a few of our personal favorites: these head planters, fairy garden supplies, and more from Botanica Gardens! If you missed the show, check out their store for all the tiny plants and supplies you need for your own fairy garden this summer! We also bought a Tillandsias bromeliad “air plant” in a gourd from The Funny Farm, complete with detailed instructions for its care, and a non-invasive variety of honeysuckle from Horticare! Little Veronica and I also perused the vendors offering local produce and artisan foods! I thoroughly enjoyed my visit with Willow Springs Market Garden, and I am now encouraged to add the native paw paw trees to my suburban backyard! You can find out about their local, organic produce via their Facebook page, here. The praline pecans from Ozark Candies & Nuts were soooo yummy! That is why we bought not just one, but two bags! We visited with the Martin Family Farm, the produce growers and makers of Jelly Madness. Beyond the southern staple jellies, they also had some unexpected delightful combinations. I sampled their “Lavender Peach,” bought a jar, and am now likely a customer for life. Yes, it is that good. Seriously. You’ll want to find them! Their website for direct ordering is JellyMadness.com, and you can find their Facebook page, here. It was nothing short of a miracle that I was able to get this photo of Post Familie! They were one of the busiest areas! For any of my non-Arkansan readers, did you know that Arkansas has a portion of the state that we refer to as wine-country? 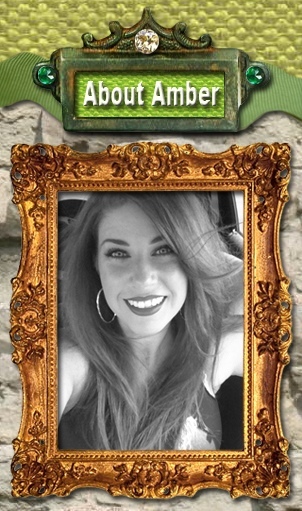 I’d love to visit the vineyards! It is officially on my to-do list! 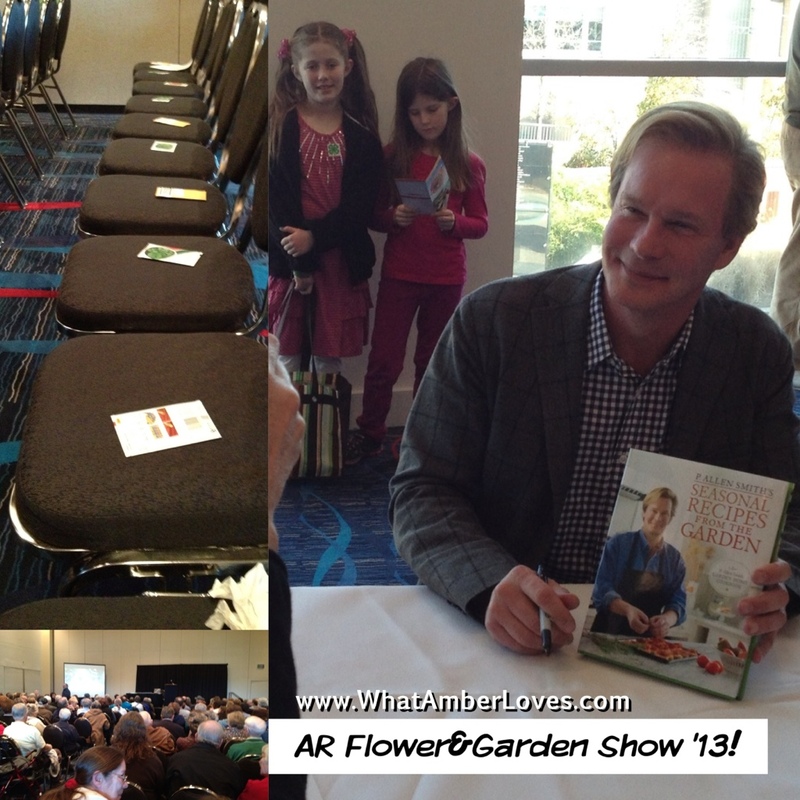 Check your local tv listings for broadcast times of his show on PBS member stations, find recipes and video tutorials and more on his website PAllenSmith.com, and find him on facebook at Facefook.com/GardenHomeRetreat. Caroline and Abigail made crafts at the 4H table while I inquired about opportunities for them to participate with 4H during this coming summer! Okay, I’ve been talking a lot about the things the girls and I did, but here are a few things that my husband repeatedly gravitated toward. Winning a truck from Crain Ford? Yes, please! We certainly entered to win! There was also, Fiser!! Kubota!! Fiser!! Kubota! !, to drool over! Several of our neighbors have these multi-seat atvs that they use when it snows and when they go hunting. We want one! And, when we eventually move onto more acreage, we really want one of the models that was on display out front! Did you see the BBQ/grilling/outdoor kitchen area setup by AntiqueBrickOutdoor.com (located on 9th St. in Little Rock) ? Our current lot and patio space is definitely big enough to add such an arrangement. I’m guessing it would certainly boost resale value of this house and attract potential buyers! Things to consider . . . Hmmm. 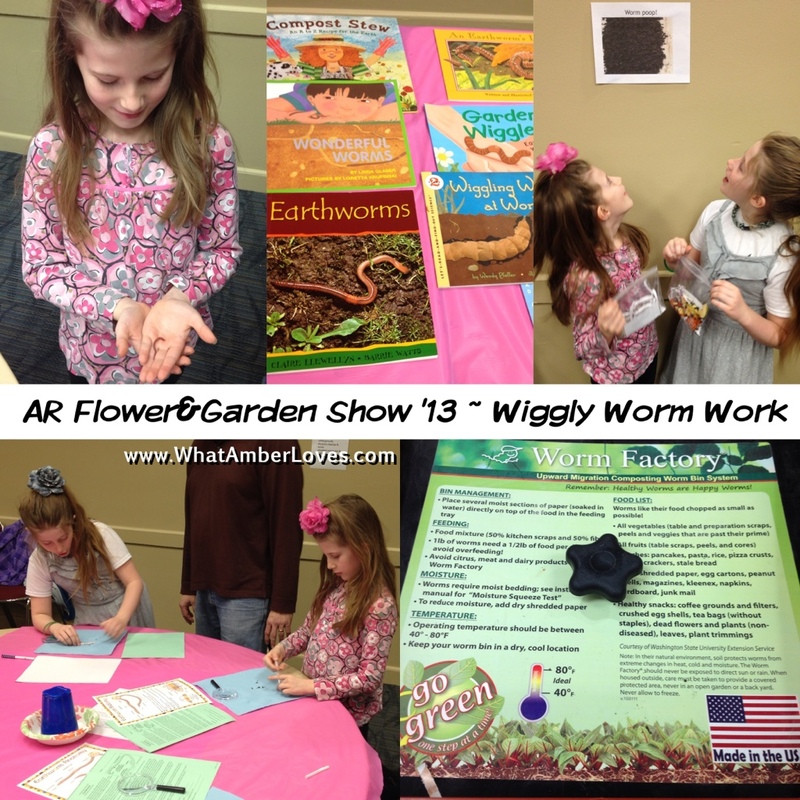 On Sunday, we brought our daughters back to the AR Flower and Garden Show to participate in the “Wiggly Worm Workshop” and “Terrarium Building!” They thoroughly enjoyed both classes! There was so much to see and do! 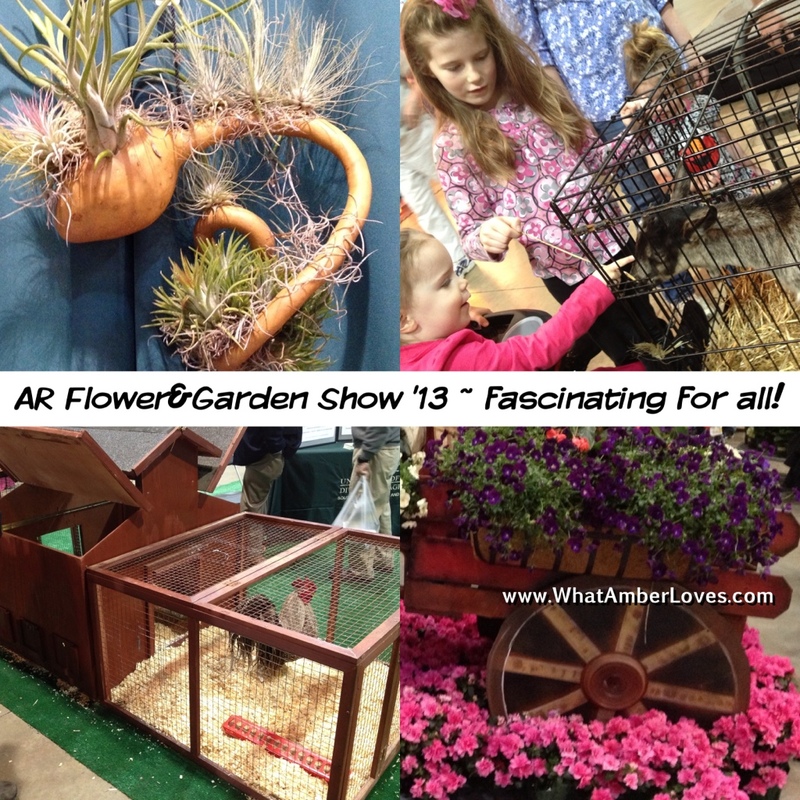 It is definitely a “must see and be seen” event for garden enthusiasts, fascinating for those of us eager to learn more, and an educational, fun family outing! 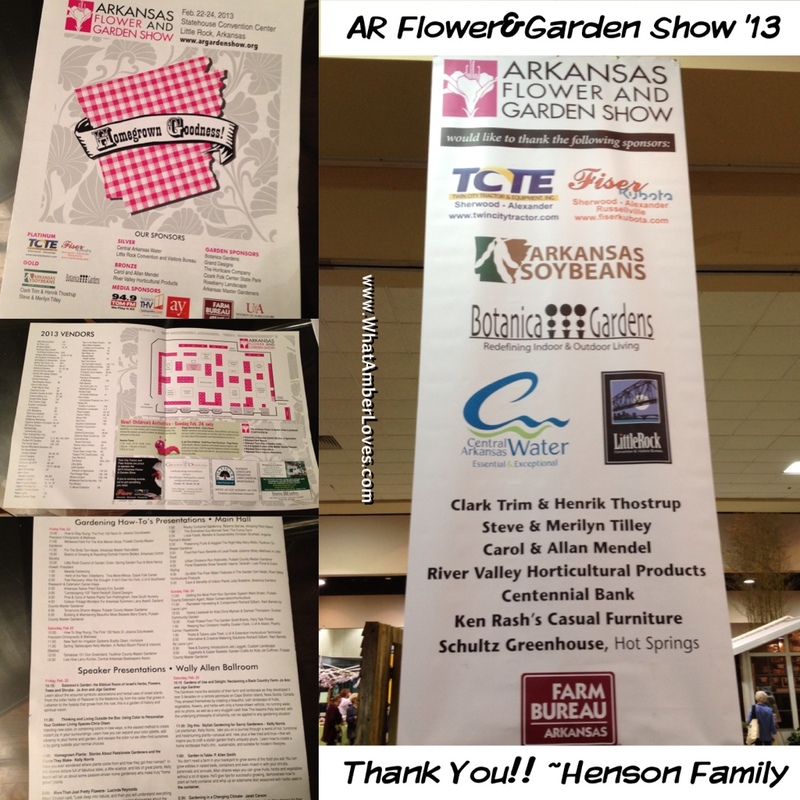 If you look at this program we received, it will confirm that with around 100 vendors, dozens of Gardening How-to Presentations, and 8 Featured Speakers, a detailed floral design competition, and thousands of visitors this year, this post gives only a glimpse of what could be seen and experienced at this year’s 2013 Arkansas Flower and Garden Show! Thank You for the Passes!! 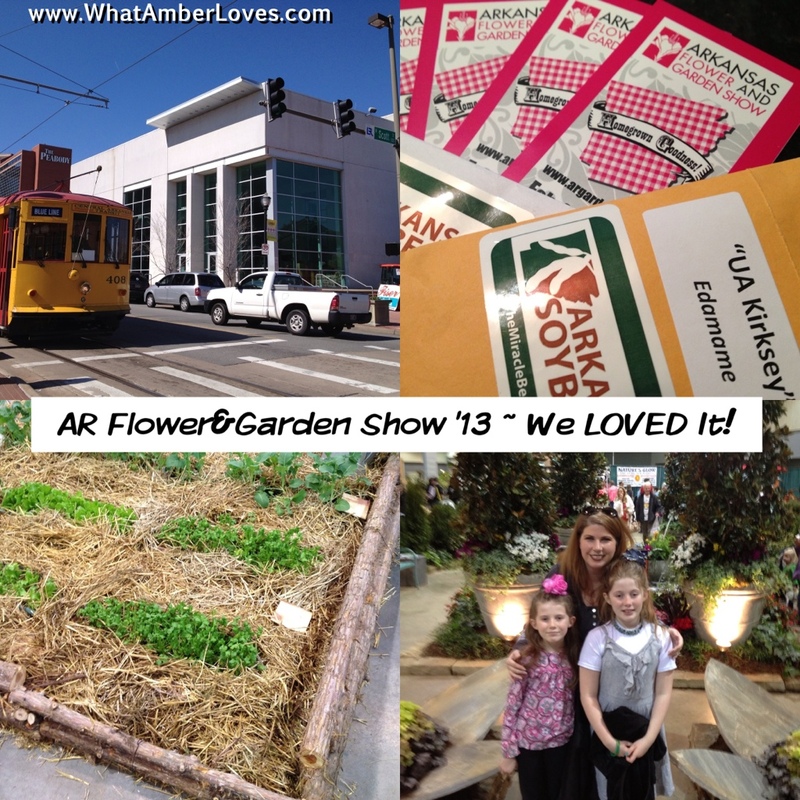 We LOVED attending the 2013 Arkansas Flower and Garden Show! 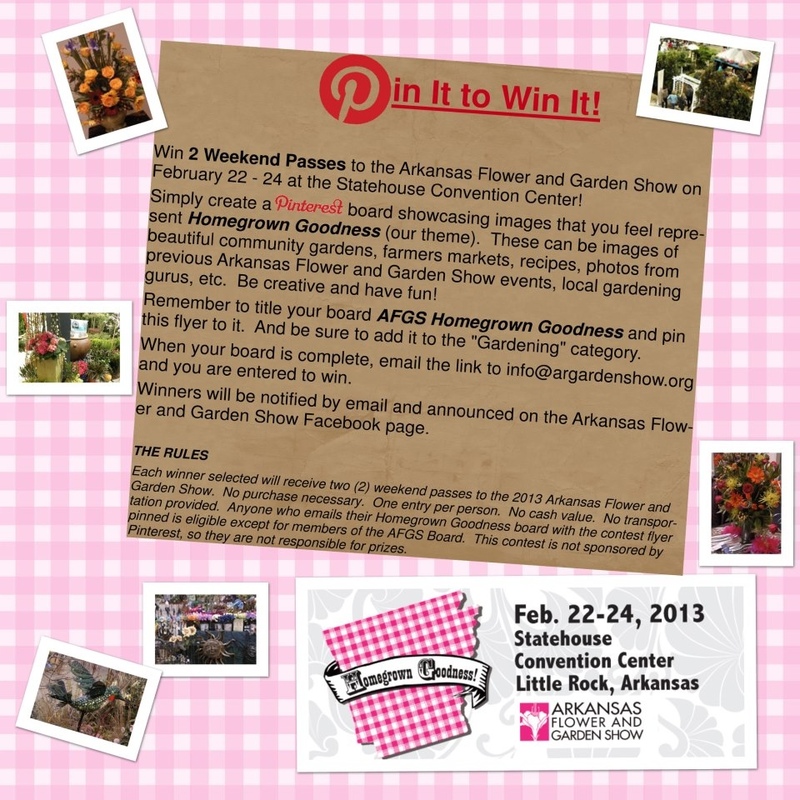 New this year, they are hosting a “pin it to win it” contest! Find the show’s facebook page, by clicking here You can save the image to upload to a Pinterest pinboard from their Facebook page. The rules are on the image! I haven’t purchased my tickets yet, so I’d love to win!! I already follow P. Allen Smith on Pinterest, so you may see that I’ve “invited” him on the board as a pinner! What will I pin? Well, since its a great community event, I’m going to take a look at the sponsors of the event. If any of their products catch my eye, I’m pinning those for sure!! 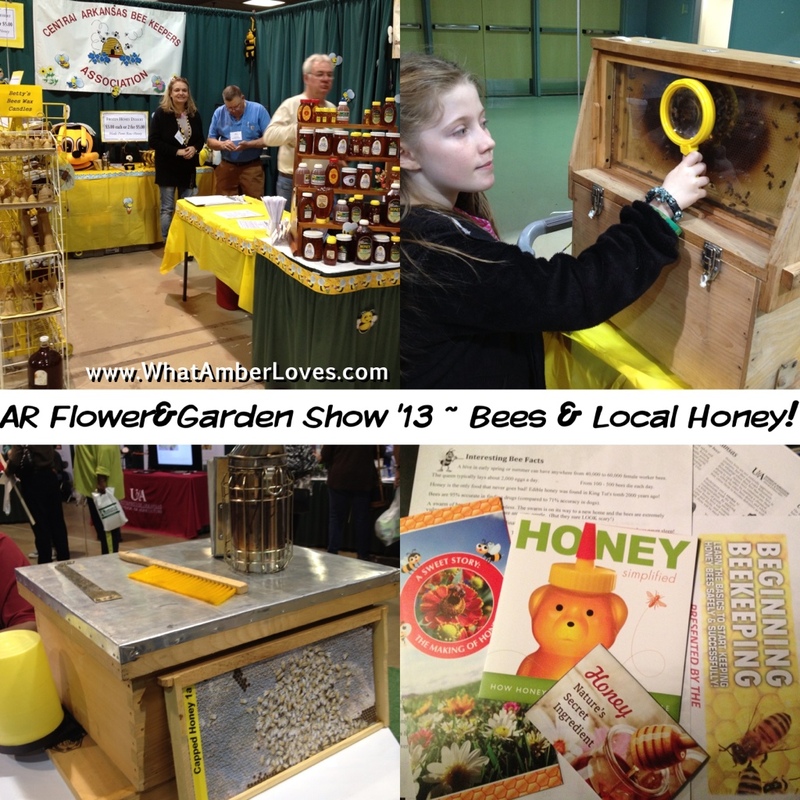 You can see my “AFGS Homegrown Goodness” Pinterest board, here. I’m expanding my edibles collection here in my own suburban yard this year. In the two years we’ve been here, I’ve planted an apple tree, three peach trees, rosemary en masse, sage, chives, roses, and more. Last weekend, I purchased two new fig plants and started preparing new raised veggie beds in the backyard. 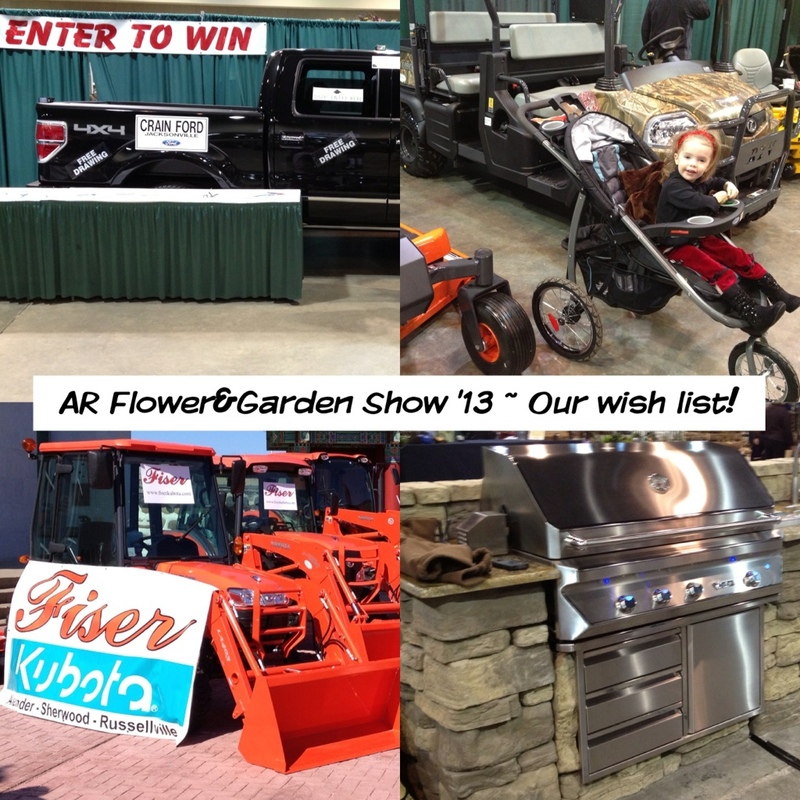 I think I’ll pin plants that I would like to add this year and … anything else that catches my eye! Here we Go! Let’s pin! 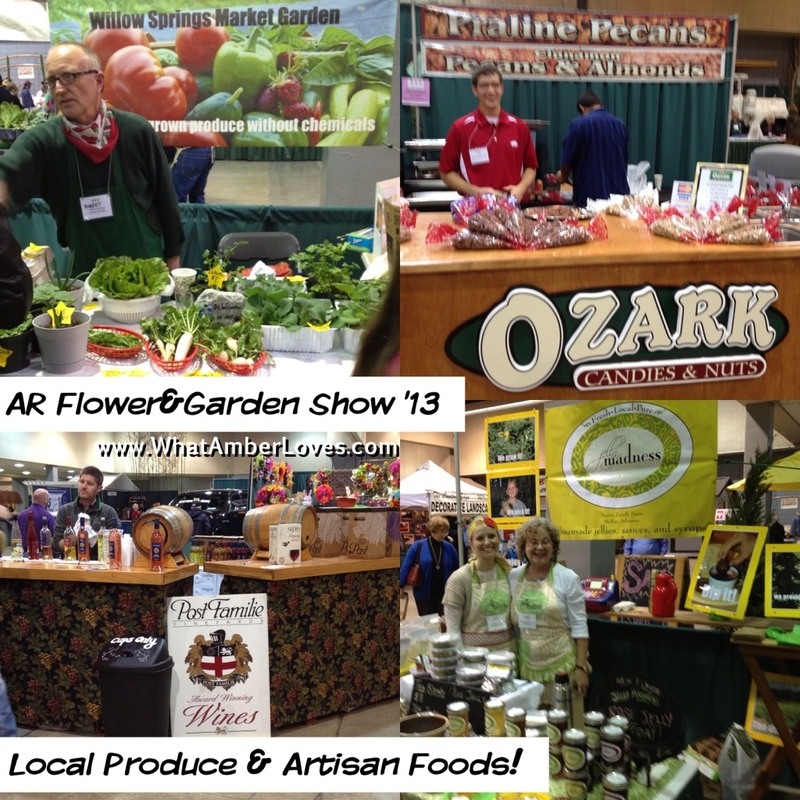 I’m looking forward to the Arkansas Flower and Garden Show! !